After successfully completing two awesome seasons, Super Dancer hit the TV screens with the 3rd chapter. As we saw Shivani making an exit last week This week we will see another jodi making an exit from the show. According to our source, we hear, this week, Aryan Patra and Avastha Thapa's pair will bid adieu from the show. After Aryan Patra and Avastha Thapa's exit, only seven contestants are left in the show. On Saturday the choreographers will be performing with Kids and Sunday's episode will be for the kids with bottom scores. 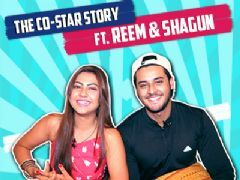 Also this week Skipper Sanam won’t be performing with Jay which already gets them in the bottom If you like this video don’t forget to like comment and subscribe to India Forums. User Comments on video titled "Super Dancer 3s Evicted Jodi This Week | Find Out Who Got Eliminated"